Pressure ulcers – perhaps a strange topic for a blog and not necessarily at the top of the priority list for change but for me, every ulcer tells a story. Pressure ulcers are proxy for the quality of care and a good example of the issues with day to day care delivery. From my experience, the management and reduction of pressure ulcers are not just the responsibility of one organisation, the accountability is system-wide. The impact on individuals, on carers, on staff and on organisations can be very damaging. National figures for 2009 (1) indicated that the UK prevalence for pressure ulcers was 10.2% with 59% acquired in hospitals. NICE figures state that 4% of NHS expenditure is spent on the treatment and management of pressure ulcers and that at least £154m could be saved if avoidable pressure ulcers were eliminated. Clinical incident and Serious Untoward Incident reporting pick up on the more severe grades of ulcers with root cause analysis. So the question is why is there an issue with pressure ulcers? Do you ever get the feeling we are all avoiding the elephant in the room? In terms of quality improvement how often do you start with an explicit aim to understand and support a change in behaviours? Do you know your staff? Do you have an approach to motivate behaviours on the ward, in a community team, a nursing home, or the ambulance crew to the best effect? I have witnessed and supported approaches focusing on the introduction of new tools and techniques such as checklists, intentional rounding, measurement tools, performance management methods, which all have a role to play, but for many staff with strong values about caring, these tools become part of the task list, they don’t inspire change. Blanket approaches, based on the premise that all staff and patients will react in the same way do not reflect real life and yet there is tendency to keep rolling out the next new tool. Process changes are making little effect because we are not relating to staff. Through years of working in and with the NHS I have to come to believe more and more that we all need to start with individual values to shape and co-design solutions. This is not a soft option or a woolly approach, values are fundamental to change, they can be categorised and most importantly can be used to inform, shape and co-design solutions. Understanding what drives staff or patient behaviour is critical if you want to effect change. It is not always comfortable holding the mirror up to yourself or the organisation but it is far more powerful and far-reaching . Co-designing solutions based on an understanding of behaviours and what motivates people makes sense and it works. So before any investment is made in a quality or service improvement programme, on care pathway redesign or on more measurement tools, stop and start with the behaviours you want to inspire. Supporting behaviour change will have a far more powerful and lasting impact on care quality and on the outcomes of care. Avoidable pressure ulcers can be eliminated. Liz Howarth is a Director at IMPOWER. 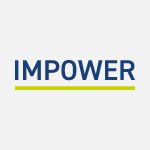 To contact her to discuss this blog please e-mail lhowarth@impower.co.uk or call 020 7017 8030.